Benjamin Vigier has been involved in the development of near field communication technology since 2004 and most recently was product manager for mobile wallet, payment and NFC at mobile payments specialists mFoundry. 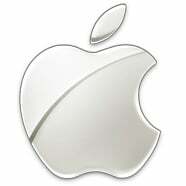 Apple has hired an expert in near field communication technology as its new product manager for mobile commerce. Benjamin Vigier has been working on NFC technology since 2004 and has been responsible for NFC activities at both French mobile network operator Bouygues Telecom and flash memory manufacturer Sandisk. Most recently Vigier was product manager for mobile wallet, payment and NFC at US mobile payments specialist mFoundry. There he conceived and managed both the PayPal Mobile service and Starbucks’ barcode-based mobile payments service and was also responsible for the development of mobile wallet applications for two top US mobile network operators and an NFC wallet application for a top three US bank. Exactly what mobile commerce products Vigier will be working on at Apple are, of course, not yet in the public domain — and Vigier declined to comment about his new role when NFC World contacted him today. Given that he has had so much experience with mobile money applications, however, the choice of Vigier to product manage mobile commerce does, at least, point towards a continued interest at Apple in taking at least some of these patent applications from concept to commercial reality. This looks like a significant vote for NFC by Apple; and if Apple puts its weight behind NFC there’ll be no stopping it. The question of whether Apple can do great payments, to match their other great apps, is probably one of whether they can reveal the unknown unknowns. The payments area is notoriously complicated, bringing in multiple disciplines and skills which most companies don’t have. To some extent this is deliberate barrier building by incumbents, and to some extent, the art of issuing new monies is one lost to the commercial world, as big major monies have been considered to be the prerogatives of the Central Banks for a century or so.